Petco Foundation Invests In Lifesaving Work of Killeen Animal Services. Killeen Animal Services announces it has been awarded a $45,000 grant from the Petco Foundation to support funding that will be utilized to aid the shelter’s ongoing spay and neuter program and the health and care of the animals in need that can be entered into the adoption program. The Petco Foundation investment will provide a bridge to help new pets owners make responsible choices as they bring home their new family member. New owners that reside in the Killeen City limits will be issued a voucher to cover the cost for spaying or neutering their new pet and the first rabies vaccination. This program will help bring the shelter’s name in a positive venue. Name recognition increases attention and draws more potential pet owners to the shelter. The program aids the new owners fiscally while supporting the cities spay, neuter and rabies program in a more positive manner to promote adoptions. For more information about Killeen Animal Services or the Petco Foundation, visit, http://www.killeentexas.gov/index.php?section=35 or www.petcofoundation.org. Join the conversation on Facebook, Twitter and Instagram or by using the hashtag #PetcoFoundation. Killeen Police Department investigates a fatal motorcycle crash on Rancier. Officers responded to a 911 call about a crash in the 1400 block of Rancier Avenue, which involved a Hyundai Tiburon and a Suzuki motorcycle on Wednesday, March 22, 2017, at 11:19 p.m. The preliminary investigation revealed that a 2008 Hyundai Tiburon was traveling westbound in the inside lane on Rancier Avenue and a 2016 Suzuki motorcycle was traveling eastbound in the outside lane on Rancier Avenue. The driver of the Hyundai failed to yield right of way when the driver attempted to turn left onto Alexander Street causing the motorcycle to collide with the vehicle. The driver of the Hyundai fled the scene on foot before the officers’ arrival. The 48 year-old male motorcycle rider was transported to Seton Medical Center Harker Heights and subsequently transported to Baylor Scott & White where he succumbed to his injuries. Justice of the Peace Donald Engleking pronounced 48 year-old Derrick Roy Evans of Killeen, deceased by at 2:20 a.m. The Killeen Police Department is asking the community’s assistance in identifying a Robbery suspect. 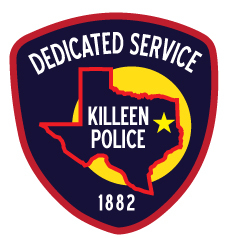 Killeen Police responded to the 7 Day Food Store, located at 1408 E. Rancier Avenue, on Saturday, March 25, 2017, at 7:19 a.m., after receiving a 911 call telling them the store had just been robbed. Upon the officers’ arrival, they learned that an armed male suspect entered the store and demanded money from the clerk; he then fled the store on foot. The suspect is described as a light skinned black male, approximately 6’ tall and was wearing a gray hooded shirt, a green jacket and blue pants. Detectives are asking if you can identify the suspect in the surveillance video to contact Crime Stoppers at 254-526-TIPS (8477) or go online at www.bellcountycrimestoppers.com. You can also download the P3tips App for IOS and Android and give an anonymous tip. All information is anonymous and confidential and if your tip leads to the arrest of the suspect, you could be eligible for a reward up to $1,000 in cash. The investigation revealed that the suspect, Zachary Kadetz, had intentionally caused the injuries to the infant. The Bell County District Attorney’s Office issued a complaint charging 21 year-old Zachary Kadetz with Injury to a Child. Kadetz was arrested on March 24, 2017 and Justice of the Peace Bill Cooke arraigned him and set his bond at $1,000,000. Killeen Police investigate death of an infant. Officers responded to the 2900 block of Zephyr Road at 8:08pm, on Saturday, February 18, 2017, after receiving a 911 call in reference to an unresponsive and not breathing three month old male infant. Upon the officer’s arrival, they immediately began performing CPR until Killeen Fire Department Paramedics arrival. Once the paramedics arrived, they immediately transported the infant to Seton Medical Center Harker Heights and was subsequently transported to McLane Children’s Hospital. On February 24, 2017, Justice of the Peace David Barfield pronounced the infant deceased at 3:35pm and ordered an autopsy to be performed at the Southwestern Institute of Forensic Sciences in Dallas. The name of the child will not be released at this time. This case is currently being reviewed by the Bell County District Attorney’s Office. Detectives with the Criminal Investigations Division Special Victims Unit continue to investigate this death and information will be released as it becomes available. Killeen Police investigate a late night shooting at Liberty 6 Motel. Killeen Police were dispatched to the Liberty 6 Motel located at 526 E. Veteran’s Memorial Boulevard, on Thursday, March 23, 2017, at 11:04 p.m., in reference to shots fired. Upon the officers’ arrival, they found all parties had fled the scene. A female gunshot victim was later located at Metroplex hospital and was subsequently transported to Baylor Scott and White Hospital. The 23 year-old victim is listed in stable condition. The suspects are described as a black male wearing all black clothing and a black female wearing all white clothing. Detectives are asking anyone who has information about this shooting to contact Crime Stoppers at 254-526-TIPS (8477) or go online at www.bellcountycrimestoppers.com. You can also download the P3Tips App for IOS and Android and give an anonymous tip. All information given is anonymous and confidential, and if your tip leads to the arrest of the person(s) responsible for this shooting, you could be eligible for reward up to $1,000 in cash. Killeen Police make Arrest following Robbery at the Fast Times Convenience Store. Officers responded to the Fast Times Convenience Store located at 3300 E. Veterans Memorial Boulevard, at 6:57 p.m., on Thursday, March 23, 2017, after learning the store had just been robbed. As the officers were responding to the Robbery, they were advised of the description of the suspect; an officer who was in the vicinity of the store saw the suspect standing on Veterans Memorial Blvd. As the officer stopped out on the suspect, a confrontation followed that ended when the officer tased him. The suspect was able to break away and led officers on a foot chase. Officers were able to apprehend the male suspect a few blocks away and he was transported to the Killeen City Jail. The case is currently being reviewed by the Bell County District Attorney’s Office and information will be released as it becomes available. Killeen Police conduct a Death Investigation on Green Avenue. Officers responded to the 800 block of Green Avenue on Thursday, March 23, 2017, at 6:18 p.m., after receiving a 911 call in reference to a shooting victim. Upon the officers’ arrival, they located a male juvenile lying on the floor with a gunshot wound. The officers immediately started to perform first aid until paramedics arrived. The 13 year-old victim was immediately transported to the Carl R. Darnall Army Medical Center where he succumbed to his injuries and was pronounced deceased by Justice of the Peace Bill Cooke. The name of the victim has been withheld since he is a juvenile.